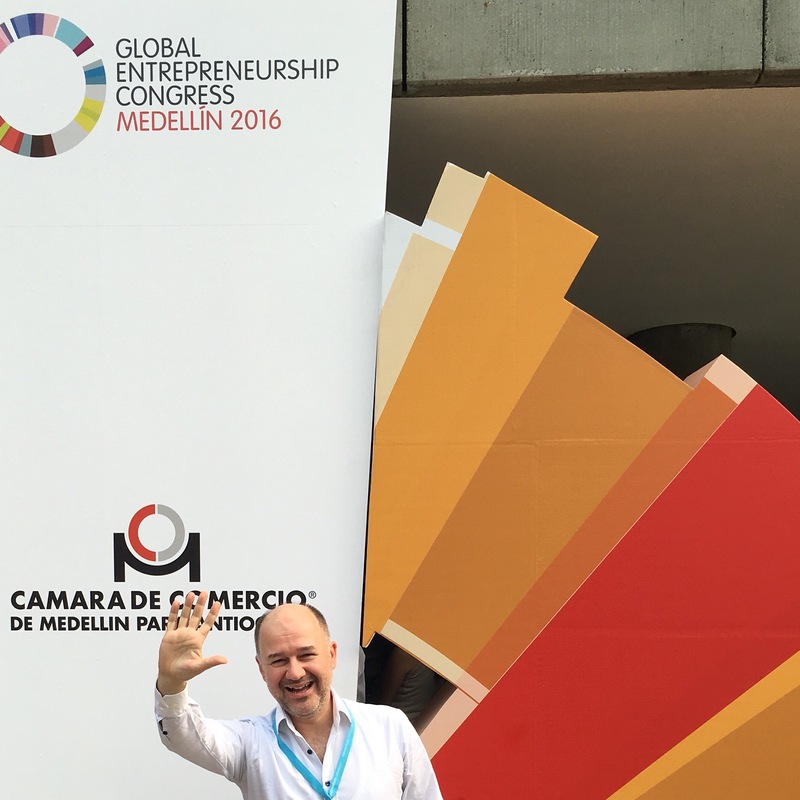 I was in Medellín City, Colombia to attend the GEC—Global Entrepreneurship Congress—on 14–16 March 2016. 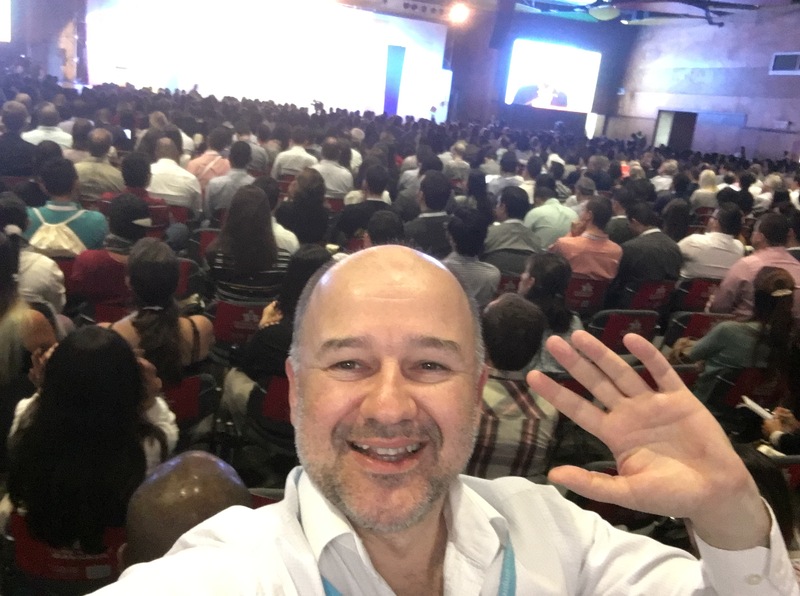 With a participation of more than 4,000 delegates from 158 countries, it was a great opportunity for me to network in Latin America’s entrepreneurial ecosystem. 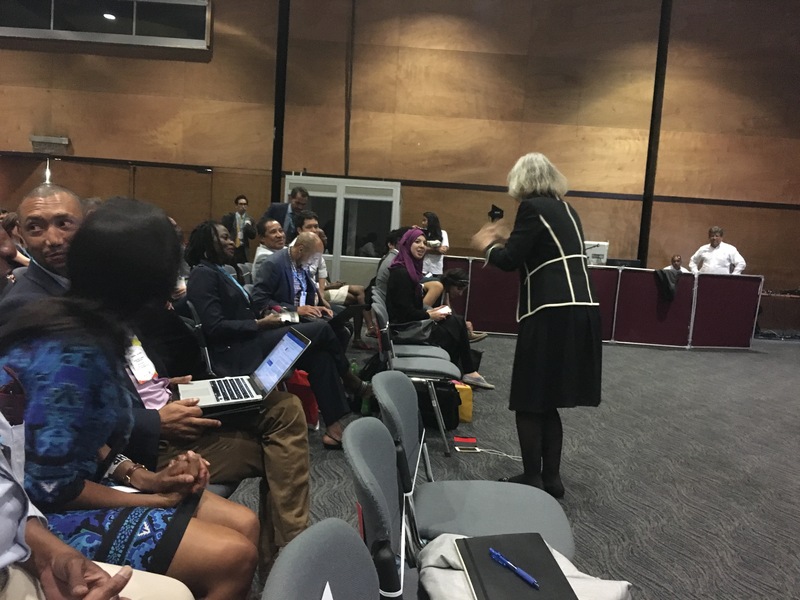 The four-day congress gathered entrepreneurs, policymakers, investors and researchers to discuss best practices, the latest success stories and the future of establishing a single global entrepreneurial ecosystem. This was my first time in Latin America, so I wanted to try to grasp the differences between my continent and this particular region of the American continent. The tropical weather was excellent, the people were very hospitable, similar to the Mediterranean people, and everything cost approximately 30% of European prices. At such prices, you can live in this country with the ‘best’ prices, and with the best friendship. However, the Bogota airport will always stay in my memory because of an unforgettable experience there. 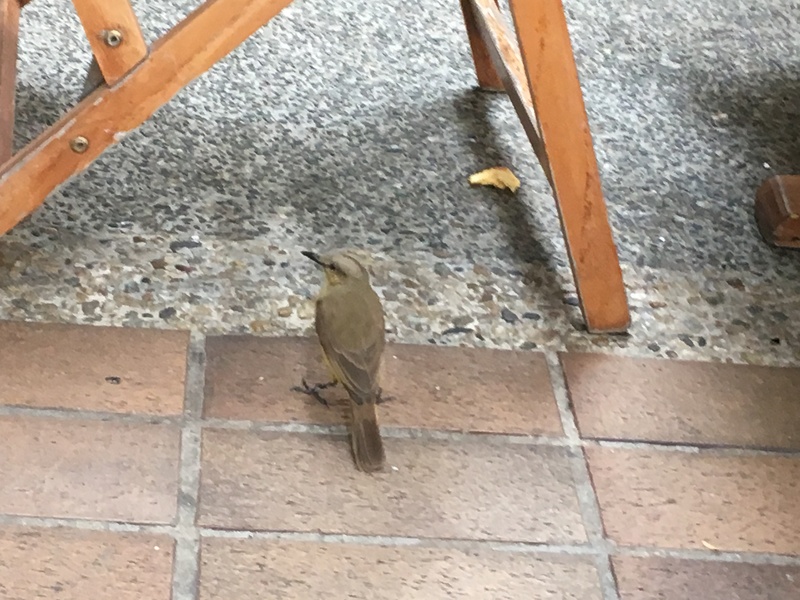 I was not allowed to board my return flight! 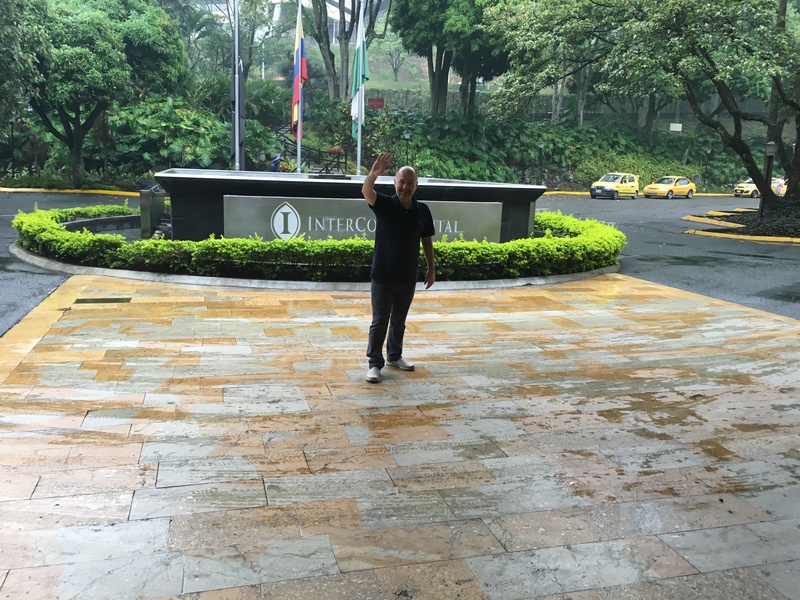 Why did the airport staff want to keep me in Bogota? What was the reason? Why did I have to show a photo of myself with US President Obama to get onto the flight? Why did the pilot insist on leaving without me? To learn more about this, keep on readingJ. You’ll find the whole story before you finish reading these notes. The financial sector in Colombia has grown significantly due to good liquidity in the economy, the growth of credit and to the positive performance of the Colombian economy overall. The Colombian Stock Exchange, through the Latin American Integrated Market (MILA), offers a regional market to trade equities. 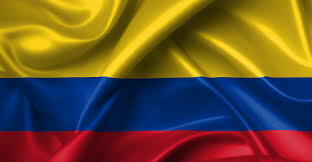 Colombia is now one of only three economies with a perfect score on the strength of legal rights index, according to the World Bank. Colombia has more than 5,500 research groups in science and technology. iNNpulsa, a government body that promotes entrepreneurship and innovation in the country, provides grants to start-ups, in addition to other services. Co-working spaces have arisen to serve as communities for both large and small start-ups. 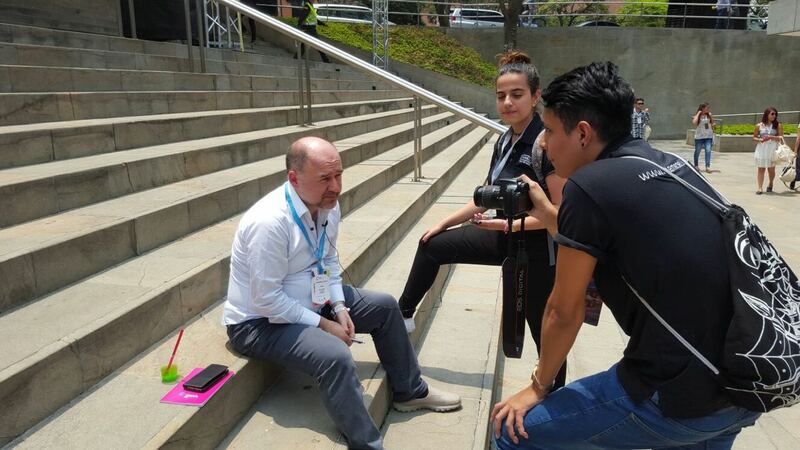 Organizations such as the Corporation for Biological Research (CIB) for the support of young people interested in scientific work have been successfully developed in Colombia. The International Center for Tropical Agriculture, based in Colombia, investigates the increasing challenges of global warming and food security. Important inventions related to medicine have been made in Colombia, such as the first external artificial pacemaker with internal electrodes, invented by electronics engineer Jorge Reynolds Pombo. This was an invention of great importance for those who suffer from heart failure. Also invented in Colombia were the microkeratome and keratomileusis techniques, which form the basis of what is now known as LASIK (one of the most important techniques for the correction of refractive errors of vision) and the Hakim valve for the treatment of hydrocephalus, among others. Colombia has begun to innovate in military technology for its own army and other armies of the world, with particular focus in the design and creation of personal ballistic protection products, military robots, simulators and radar. Leading Colombian scientists include Joseph M. Tohme, a researcher recognized for his work on the genetic diversity of food; Manuel Elkin Patarroyo, who is known for his ground-breaking work on synthetic vaccines for malaria; Francisco Lopera, who discovered the “Paisa Mutation” or a type of early-onset Alzheimer’s; Rodolfo Llinás, who is known for his study of the intrinsic neurons properties and the theory of a syndrome that changed the understanding the functioning of the brain; Jairo Quiroga Puello, who is recognized for his studies on the characterization of synthetic substances which can be used to fight fungus, tumours, tuberculosis and even some viruses; and Ángela Restrepo, who devised an accurate diagnosis method and treatments to combat a disease caused by the Paracoccidioides brasiliensis. Medellín (officially, the Municipality of Medellín) is the second largest city in Colombia and the capital of the department of Antioquia. It is located in the Aburrá Valley, a central region of the Andes Mountains. According to the National Administrative Department of Statistics, the city had an estimated population of 2.44 million in 2014. With its surrounding area that includes nine other cities, the metropolitan area of Medellín is the second largest urban agglomeration in Colombia in terms of population and economy, with more than 3.5 million people. The Global Entrepreneurship Network is a platform of programs and initiatives to help people unleash their ideas and turn them into promising new ventures—creating jobs, unearthing innovations for society and strengthening economic stability around the world. 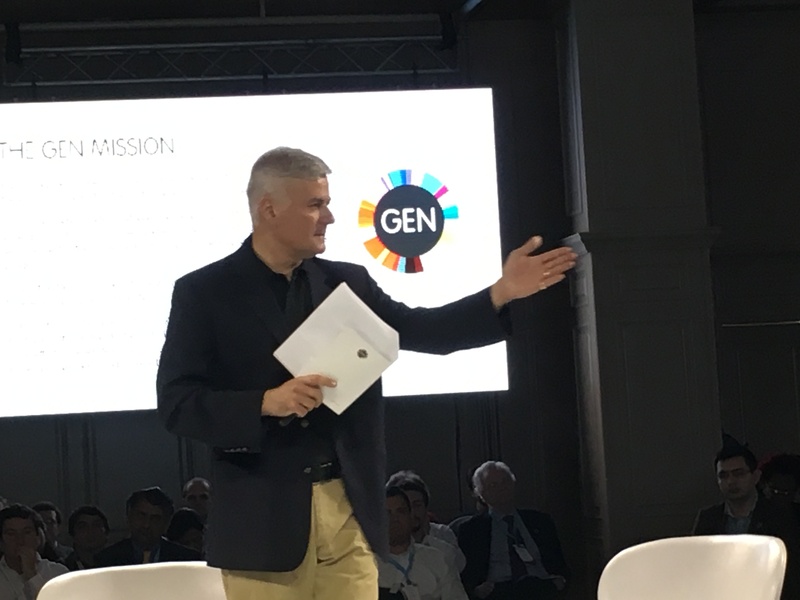 Ranging from efforts to inspire and educate nascent entrepreneurs to advancing research and connecting global leaders in person, GEN is building one global entrepreneurship ecosystem. While it started as a grassroots movement anchored in established economies with stable political systems, GEN now operates in all types of economies and cultures. More start-ups are now springing up in the most unexpected parts of the world. Entrepreneurial programs, capital and talent now travel far to find the most promising founder teams. National policy advisors are more savvy and attuned to the needs of their start-up ecosystems in an on-going quest to smooth the path for new firms to start and scale. However, such great success has brought new challenges. This globalization of entrepreneurship has brought an explosion of programs, start-up communities and investment into a new field where there is a paucity of data around what works and what does not in supporting nascent entrepreneurs and new firms forming and trying to scale. Traditional business, and education and government leaders have been eager champions, but they need more sophisticated tools, programs and research to help them more efficiently direct their attention and funds to areas that have the greatest impact on future economic growth. GEN is a compass to help address these needs by identifying effective initiatives that positively impact whole societies and interventions that target the most critical areas for entrepreneurial ecosystems around the world. If you are an entrepreneur, start-up, angel investor, academician, or policymaker in the entrepreneurship eco-system of your country, then the followings are ‘must-visit’ websites for you. These websites are run by the Global Entrepreneurship Network (GEN) for global players of the early stage start-up and investment markets throughout the world. As you can see from the above list, the Global Entrepreneurship Congress (GEC) is one of the events that GEN organizes for global entrepreneurs. This Congress is a gathering of start-up champions from around the world, an event where entrepreneurs, investors, researchers, thought leaders and policymakers work together to help bring ideas to life, drive economic growth and expand human welfare. The Congress brings together thousands of delegates from 150 countries to discuss economic and policy challenges around growing entrepreneurial ecosystems. Thanks in part to the Global Entrepreneurship Week, an entrepreneurial ecosystem has started to take shape around the world, connecting people across borders to unleash their ideas and transform innovation into reality—in turn, growing economies and expanding human welfare. To support the burgeoning initiative, the Kauffman Foundation brought together host organizations from nearly 60 nations to create the first ever Global Entrepreneurship Congress in March 2009 at its headquarters in Kansas City. One year later, the Congress convened in Dubai with GEW’s entrepreneurship champions from more than 90 countries; it also had an all-star line-up of speakers including then-Prime Minister H. E. Nika Gilauri of Georgia and a number of accomplished entrepreneurs and CEOs. The profile of the Congress began to grow and countries began to compete for the right to host the event. Shanghai was keen to show the world that it too was building a thriving entrepreneurial ecosystem, and in March 2011 it hosted the third Global Entrepreneurship Congress. GEW hosts from 100 countries were joined by more than 1,000 participants from across China for the extravagant opening session of the Congress. The importance of the event was evident from the participation of a number of Chinese government officials, led by Yan Junqi, vice chairwoman of the standing committee of the National People’s Congress of China, as well as Wan Gang, the country’s Minister for Science and Technology and a number of other government representatives from the federal and local levels. Perhaps a bit more surprising was the presence of a number of China’s wealthier entrepreneurs and angel investors who had been leading the way toward new economic growth. At the end of the opening session, Jonathan Ortmans, chair of the GEC, announced that Liverpool had been selected to be the host city for 2012—and the evolution continues. Richard Branson, famous for his Virgin brand empire, inspired delegates from 120 countries among a crowd of thousands. Along with other British titans of industry, Branson answered questions and shared insights based on years of experience. But as bright as the star power was in Liverpool, perhaps a more important shift began to occur—the international delegates were no longer populated solely by GEW hosts. The Congress began to attract diverse delegations from government ministries, university researchers, the media and more. Rio de Janeiro played host to the 2013 Global Entrepreneurship Congress. 115+ countries gathered to discuss high-impact entrepreneurship and innovation. Over the conference’s four days, attendees had the opportunity to hear from global policy and entrepreneurship experts. 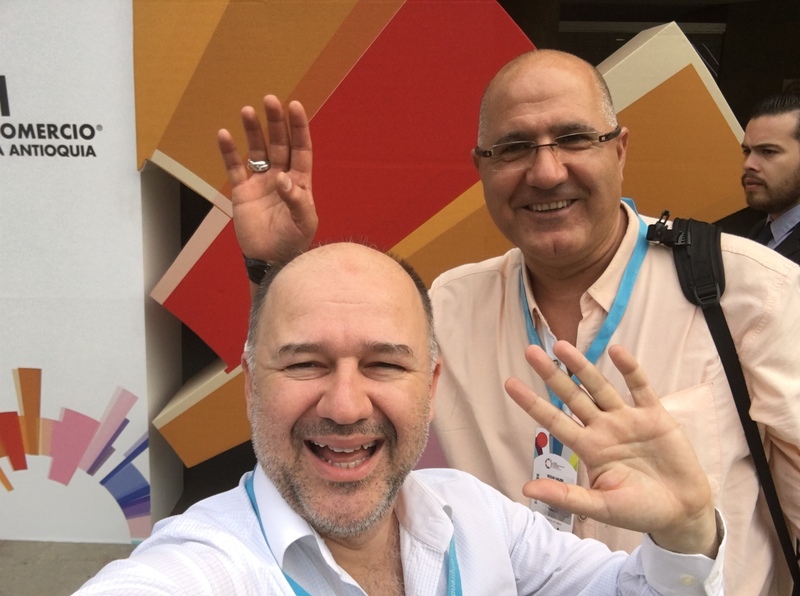 During the week there were over 70 events spread throughout Rio, bringing together thought leaders in entrepreneurship, including Brad Feld, co-founder of TechStars, Linda Rottenberg of Endeavor, and Jeff Hoffman, co-founder of Priceline.com. New programs were introduced, including World StartUp Cup, The Ice House, Idea Challenge, and World Startup Report. Moscow hosted the 2014 GEC, which, with over 150 countries represented, was the largest the GEC in its history. The event was awarded Best Business Event of 2014 from the Moscow Times. Last year it was in Milan. This year, it is in Colombia, and next year it will be in South Africa. 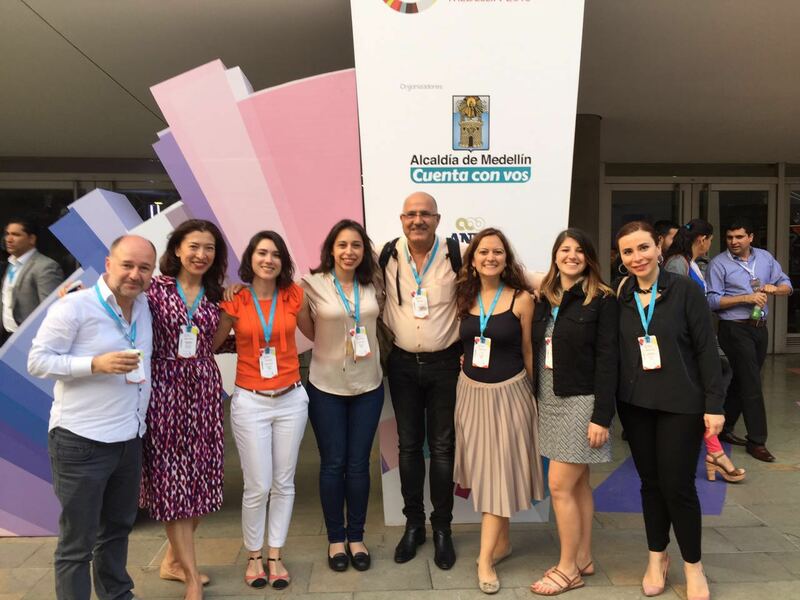 The 2016 Global Entrepreneurship Congress is hosted by the Global Entrepreneurship Network, the City of Medellín and the Kauffman Foundation and offers participants access to information about a wide array of GEN research, programs and events throughout the world all year. Jonathan Ortmans is the President of Global Entrepreneurship Week and Chair of the Global Entrepreneurship Congress. Those who have read my best-selling book Off the Bus, Into a Supercar! will recognize him as the writer of the foreword to my book. He also uploaded a very nice video for entrepreneurs after writing the foreword. Most recently, he has focused on developing a global engagement project called Global Entrepreneurship Week on behalf of the Ewing Marion Kauffman Foundation, where he has worked to align 140 countries to inspire, connect, mentor and engage the next generation of entrepreneurs. In doing so, he has helped assemble an informal coalition of roughly 8,000 organizations dedicated to stimulating entrepreneurial activity. Each November, millions of people participate in 20,000 activities. 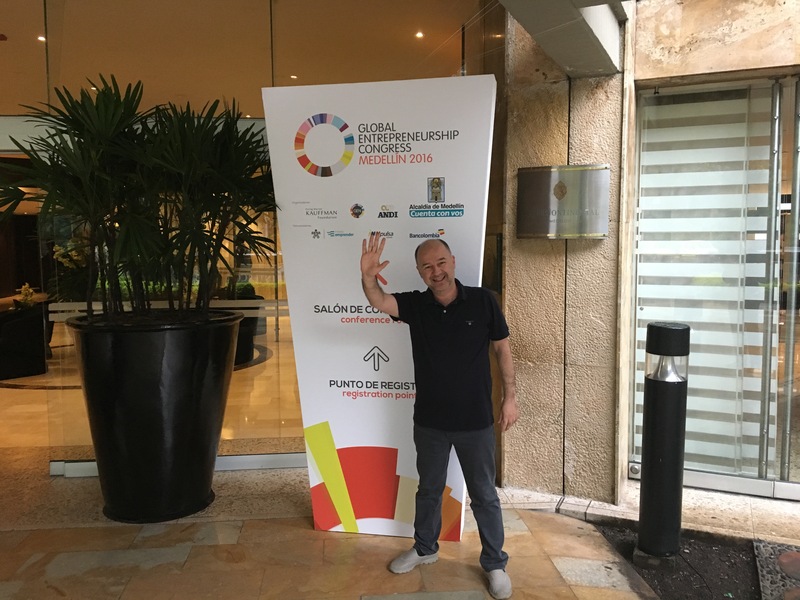 It is in his capacity as president of Global Entrepreneurship Week that Ortmans serves as the chair of the Global Entrepreneurship Congress, an annual gathering of start-up champions dedicated to building entrepreneurial ecosystems in communities and countries around the world. 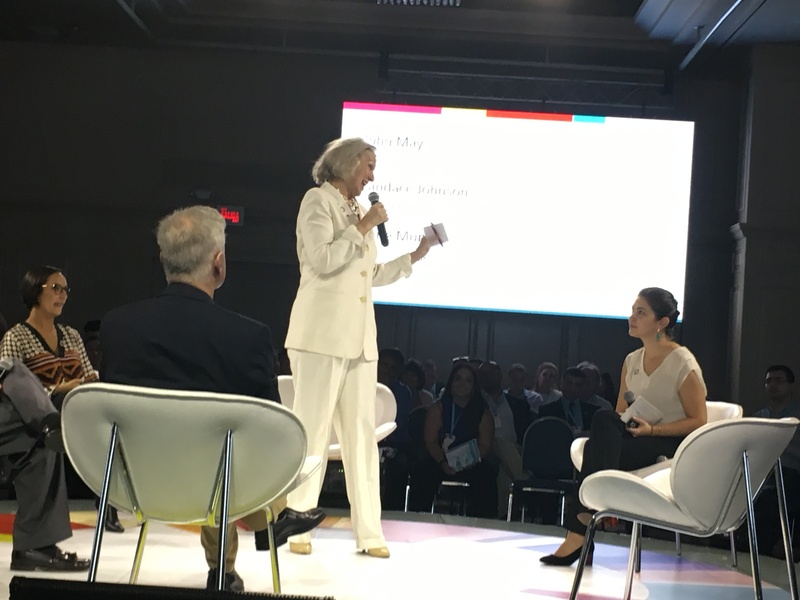 The GEC originated in Kansas City at the Kauffman Foundation and has since been hosted in Dubai, Shanghai, Liverpool, Rio de Janeiro, Moscow – ant this year in Milan. Speakers have included famous entrepreneurs such as Richard Branson and Marc Ecko as well as start-up champions like Brad Feld of TechStars and Dave McClure of 500 Startups mixing with government leaders like Alexei Komissarov. Komissarov is a former Ernst & Young Entrepreneur of the Year who is now leading Moscow’s drive toward entrepreneurial growth. Ortmans brings a wealth of experience to the field, serving as a senior fellow at the Kauffman Foundation, where he advises the Foundation on its global footprint and its interface with policymakers through the Policy Dialogue on Entrepreneurship, a public policy initiative to focus attention on the importance of entrepreneurship to the economy and society. Based in Washington, DC, Ortmans also serves as an interface between new research and initiatives to advance entrepreneurship at the Foundation and the questions and concerns that arise from policymakers in the nation’s capital. In addition to his work in the field of entrepreneurship, Ortmans also serves as president of the Public Forum Institute, where he has more than 20 years’ experience in engaging citizens, experts, community leaders, and elected officials in substantive discussions. These discussions counter the growing trend toward soundbite education by helping citizens develop a deeper understanding of the issues facing their communities and their nation. 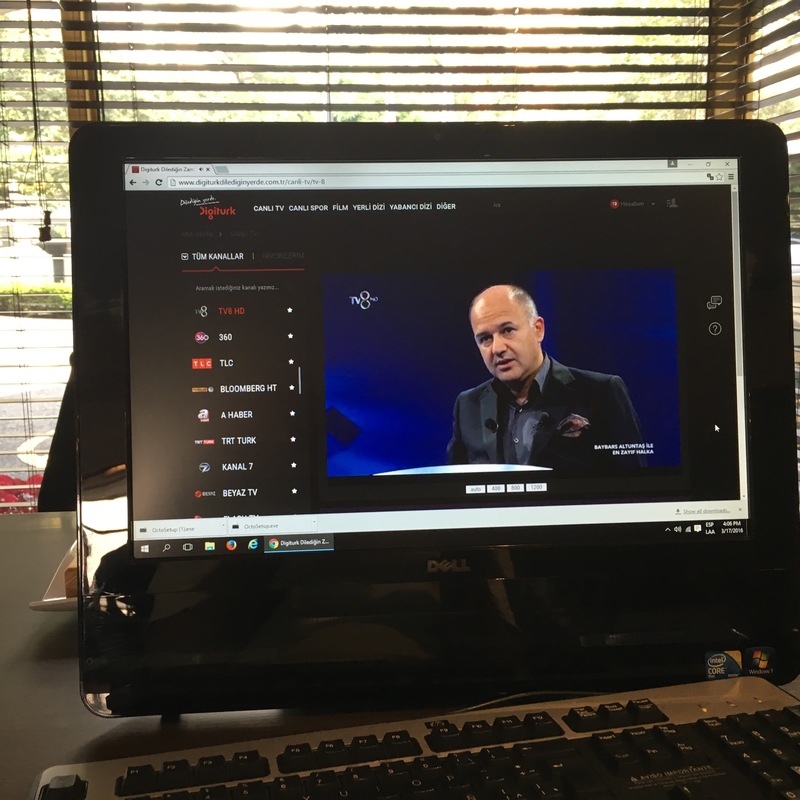 In this role, Ortmans has created a number of national initiatives with government agencies, corporations, foundations and other entities which have engaged millions of citizens at public forums in all fifty US states. For example, since 1992 he has chaired and facilitated more than 300 public forums on health care policy issues throughout the United States including Americans Discuss Health—roughly 125 congressionally-chaired forums—and the Citizens Health Care Working Group, which convened forums enabling real public input into policy currently being debated in the 111th Congress. With the Genetics & Public Policy Center of Johns Hopkins University, Ortmans has facilitated two national series of interactive town halls on advances in and the use of reproductive genetic testing and in 2007 that explored public perceptions of the feasibility of national a human bio-bank. He has a background as an entrepreneur, being part of his first start-up team at the age of 19 in his native United Kingdom and starting PFI at 34 after a career on Capitol Hill working for the U.S. House of Representatives Ways and Means Committee focusing on trade policy. He blogs regularly for the Policy Dialogue on Entrepreneurship as well as Global Entrepreneurship Week. You can also follow him on Twitter or connect with him via LinkedIn or Facebook. The most important output of this year’s congress was the announcement of the launch of the Global Business Angels Network. It was announced by Jonathan Ortmans on the 19th of March morning in the opening speech of the Angel Investment Summit part of the congress, with the participation of the Presidents of the Regional Federations like ACA from USA, EBAN and BAE from Europe, ABAN from Africa, BANSEA from Asia. Turkey becomes the first country-member of the United Nations of Business Angels. In line with the decision unanimously taken by the founding members, The Business Angels Association of Turkey (TBAA) will represent Turkey in Washington, D.C.
Another important development on the same day was the announcement of Jonathan Ortmans in the afternoon session of the March 19 Angel Investment Summit. The Business Angels Association of Turkey (TBAA) became the first national member of Global Business Angels Network (GBAN), Jonathan Ortmans announced at the Global Entrepreneurship Congress in Milan. The TBAA will represent Turkey at the United Nations of the global community of business angels and early stage markets. The GBAN Executive Committee selects one organization per country to serve as the interface between that nation’s angel community and GBAN efforts. Here you can find the press release about TBAA’s membership. 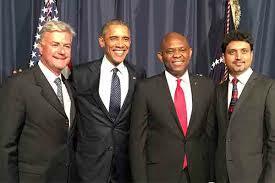 As you may know, President Obama hosted the Presidential Entrepreneurship Congress in 2010 and I was the only participant who was granted a personal audience with the President. You can read the whole story about why President Obama met with me personally in my book, which you can find at amazon.com (also available for Kindle). In Milan, I was informed by Brett P. Bruen, Director of Global Engagement, National Security Council of The White House that a brand new global programme called ‘Spark the Global Entrepreneurship’ is on the way – this is one of the outputs of the original Presidential Summit on Entrepreneurship. Jonathan Ortmans is one of the co-chairs of this programme. This conversation will continue to gather momentum over the next several months, as we work toward this summer’s Global Entrepreneurship Summit in Sub Saharan Africa. A common goal, symbol, and platform for connecting diverse programs working to promote entrepreneurship and increase investments in emerging entrepreneurs around the world. Sparking a conversation can help create a community of organizations, companies, and people that want to do more to support entrepreneurs. With the input, ideas, and energy of this community, the Spark coalition can build a strong foundation. 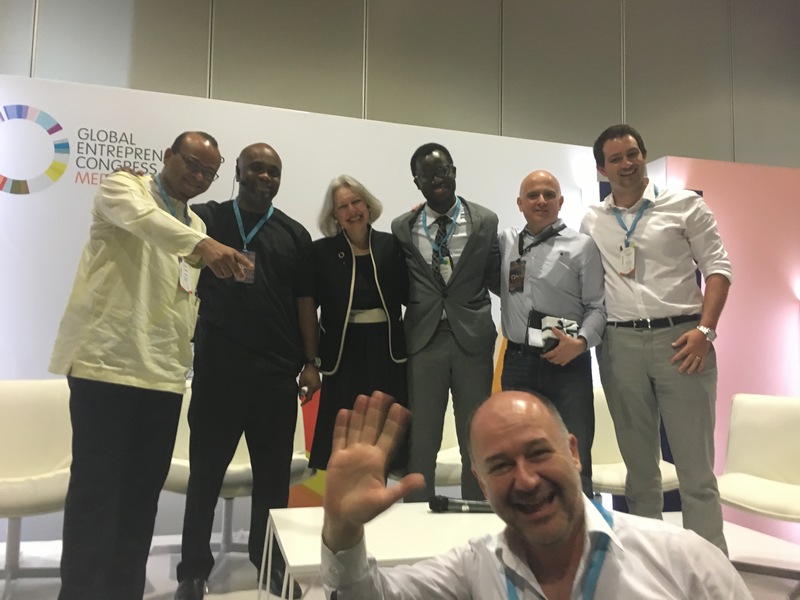 The goal of this conversation, kicked off around the Global Entrepreneurship Congress, is to involve the broadest possible coalition in the creation of Spark. The conversation starts with stories about and support for a few core beliefs. Where did the Spark start? At the Global Entrepreneurship Summit last fall, Vice President Joe Biden announced a bold goal for the best work being done by the U.S. Government to advance entrepreneurship around the world: help emerging entrepreneurs generate over $1 billion in new private investments in entrepreneurs, including social entrepreneurs, with more than half raised by women and youth. As President Obama said, ‘Over the next three years, we’re aiming to spark more than one billion dollars in new investments in the next generation of entrepreneurs around the world—to help them open a new business, expand into new markets and ignite the next era of innovation and growth.’ This ambitious initiative sparked the attention of a number of leading organizations, companies, and figures working on entrepreneurship who gathered at the White House to discuss how they might collaborate. This coalition is coalescing around a number of key goals, ideas, and actions. Their first step is to open a conversation about the common goals shared by those working to promote entrepreneurship. Together, the effort can help to increase communication, coordination, and collaboration across all our efforts to support entrepreneurs around the world. Connecting these entrepreneurial sparks can help set alight a bright beacon of new hope, shared purpose, and opportunity. What is the U.S. Government’s Spark initiative? 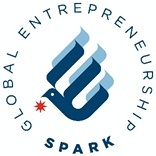 The programs selected to the President’s Spark initiative represent the best work being done by the U.S. Government to advance entrepreneurship around the world. They commit to generate at least $10 million dollars over three years for emerging entrepreneurs, with more than half raised by women and young entrepreneurs. The initial commitments toward this goal totalled over $1 billion dollars that would be generated by the end of 2017. The programs agreed to co-brand their communications with the Spark logo, while working to more closely link their programs to increase their reach and impact. I believe in creating the conditions for the entrepreneurial spark to be lit and fuelled. I believe in the need to fan the flames of our entrepreneurial spirit. I believe in collaborating with others to ignite new entrepreneurial sparks and spread their reach. I had to be in Adana, a city in the south of Turkey, on my departure day and the only route to Bogota was from Istanbul via Barcelona. That meant I had to take the Adana–Istanbul flight at 4am. After getting up at 2am, I took the 4am flight from Adana to Istanbul, and then took the 7.55am flight to Barcelona, from where I connected to the 3.40pm flight to Bogota, and then yet another flight at 10.19pm to Medellín. This was one of my longest trips I have ever experienced, and I had to make my way through five different airports in 24 hours. After leaving Turkey in the very early hours of the 13th of March, I managed to land in Medellín in the final hours of the same day. The total number of hours in the air was around 20. However, the CIP Lounge of the Barcelona airport was nice and Avianca Airways did a good job from Barcelona to Bogota. However, I had a small problem at the Medellín airport: It was nearly impossible to find a taxi at night. Unofficial (taxi) drivers didn’t appreciate my offer very much (20 USD) to the Intercontinental Hotel, but after waiting half an hour, the same driver I’d offered $20 to found me in the taxi queue and took me to the hotel for $20. It took about 45 minutes; taxi prices are really very reasonable in Colombia. Because the airport is on the mountain, the road to downtown was a bit unpleasant because the drivers enjoy driving fast. Nevertheless, I was at the hotel around 2am on 14th March. 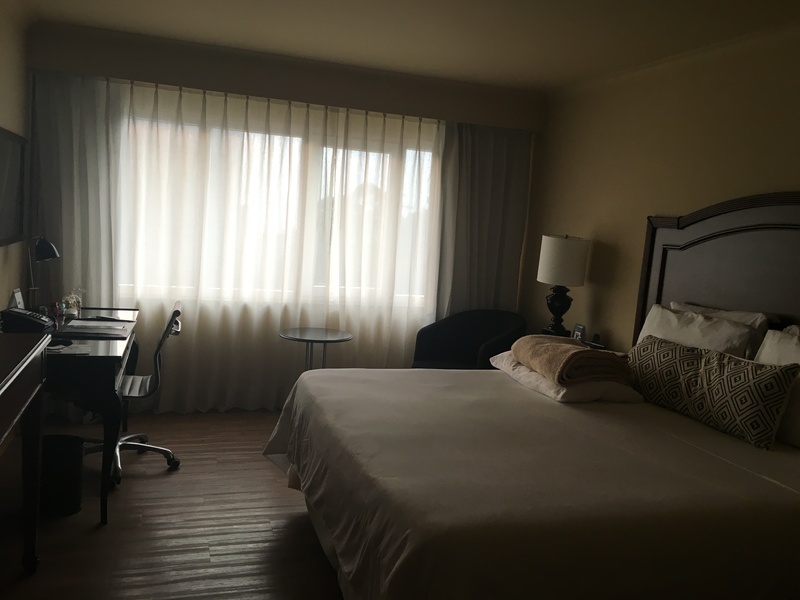 The hotel was a perfect choice, with a tropical surrounding. It is not downtown, so you have to take a taxi to get anywhere, which I generally don’t like very much. But I have to say that, if I find myself in Medellín again, I will choose to stay in this resort-like hotel. 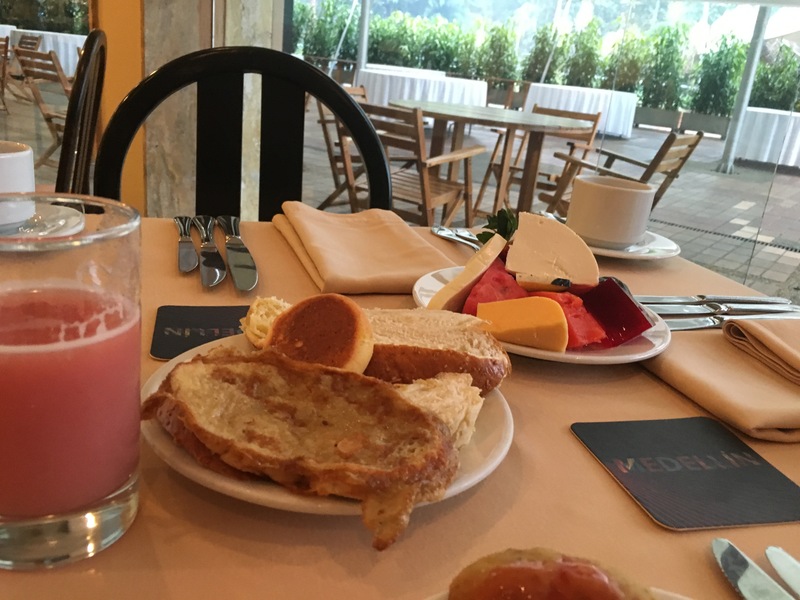 After a nice breakfast, I attended the GEN Annual Meeting, which was in the hotel ballroom. It was a gathering of GEN members from over 150 countries. Here you can find the programme of the GEN Annual Meeting. 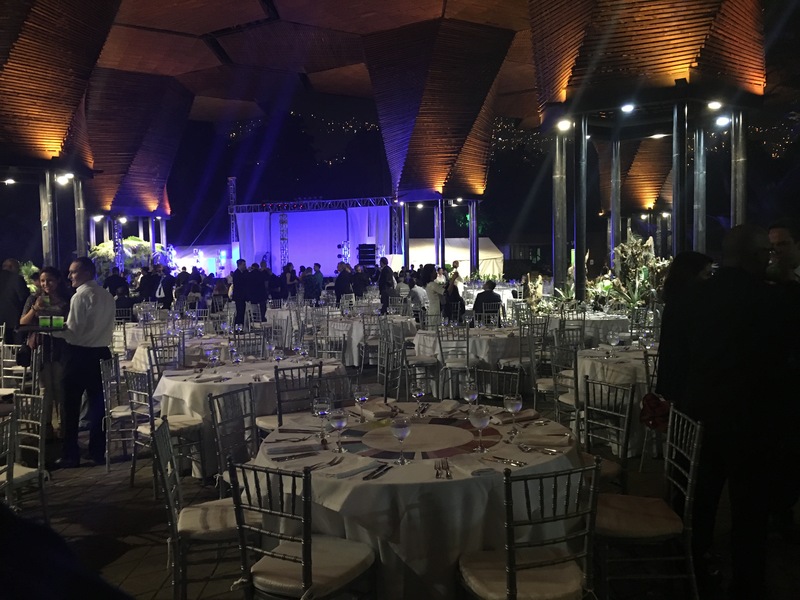 Around 6pm, we were all taken to the Botanic Garden of Medellín, where we enjoyed a nice Gala Dinner and awards ceremony. EBAN was one of the award recipients this year. Because my friends and I were all tired, we left the Gala Dinner around 11pm and went back the hotel by taxi. 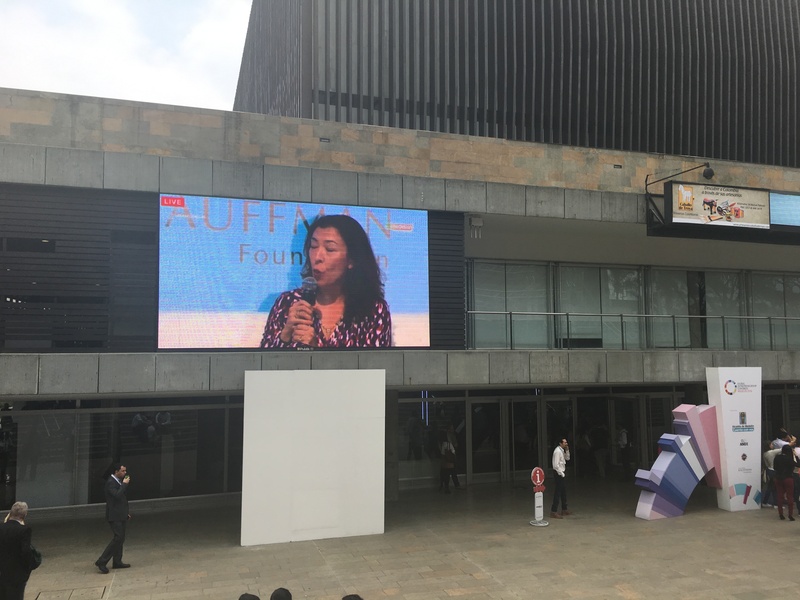 We were taken to the congress venue (the Municipality Congress Center) around 8am, and the GEC – Global Entrepreneurship Congress started at exactly 9, with opening speeches by Jonathan Ortmans and the Innovation Minister of Colombia. More than 4,000 entrepreneurs, policymakers, and researchers from the four corners of the world were in attendance. After two long and intensive days in Medellín, it was time to rest a little bit. 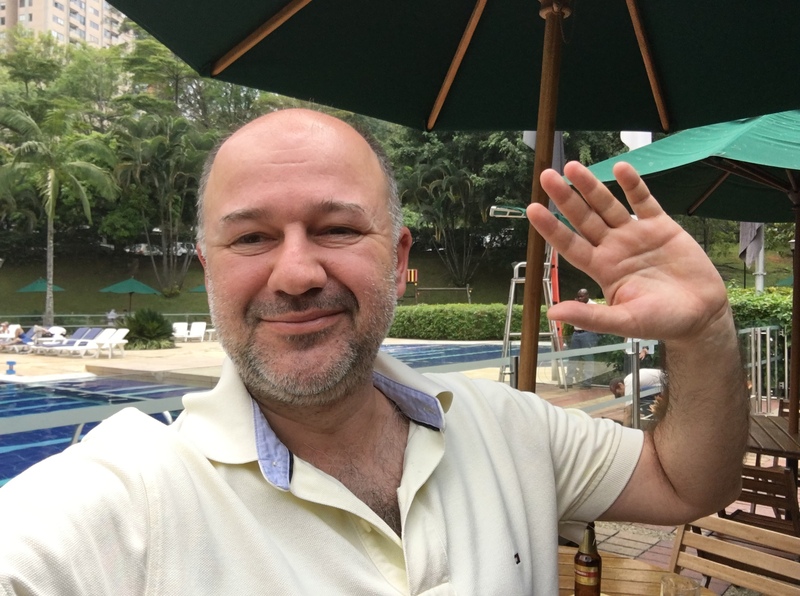 Most of the delegates preferred visiting the city on this day but I chose a simpler option: I stayed at the hotel and spent my time lounging around the swimming pool area to enjoy the excellent tropical weather and the beautiful environment. When I got up in the morning, I had no idea that the day would, in the end, be a very ‘interesting’ one for me. After resting all day at the hotel, I was invited to take the 6pm transfer bus to the airport with Chris, a very convivial friend from South Africa. It was a nice coincidence that Chris had the same itinerary to Europe as I did: Medellín–Bogota–London. After London, however, he would head to Johannesburg and I would continue my journey back to Istanbul. I really didn’t feel very well when I arrived at the airport around 7pm. The taxi driver’s bad driving had made me nauseous. 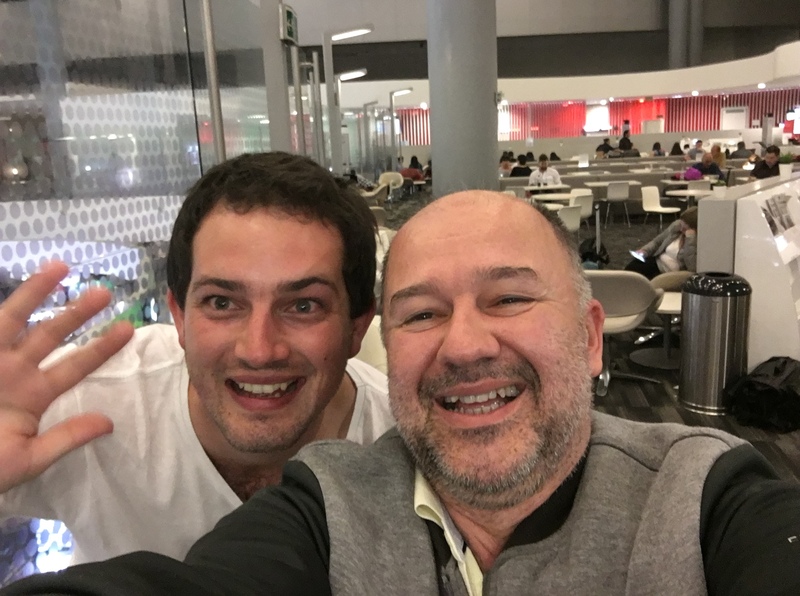 My scheduled flight to Bogota was later than Chris’s, but the check-in staff of Avianca Business Class counter moved me to his flight, which would give me an opportunity to chat more with Chris and spend more time at the CIP lounge in Bogota. 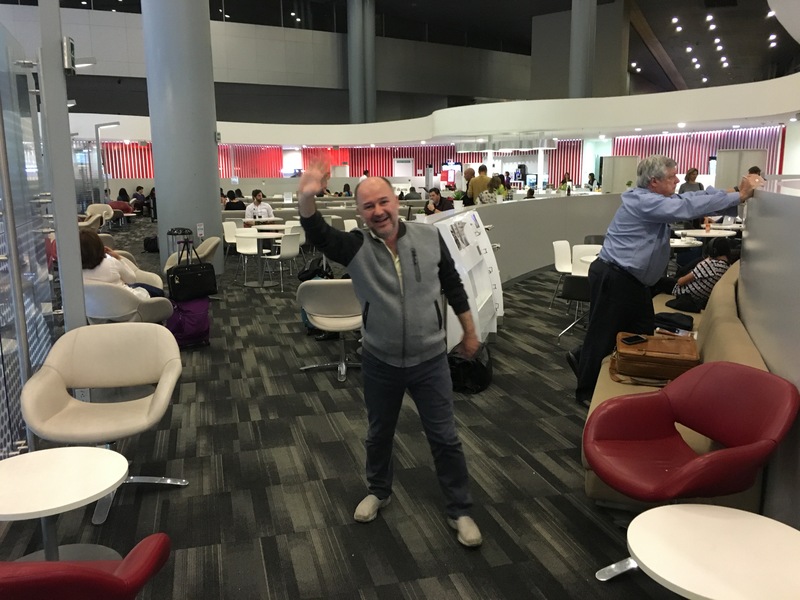 After a short 55-minute flight from Medellín to Bogota, we found the CIP lounge of Avianca Airlines, where we rested a little. When we heard the boarding announcement, we headed to the boarding gate, our boarding cards ready in our hands. Boarding Staff: May I see your transit visa for London? Boarding Staff: Because you are flying to Istanbul via London and you need a transit visa. Baybars: Actually, I don’t need one. I have flown via London hundreds of times and I have never needed a transit visa. Boarding Staff: Do you have a US visa? Baybars: I have one but it is in my other passport, which is at home now. But what is the relevance of a US visa for a passenger flying from Colombia to Turkey via the UK? 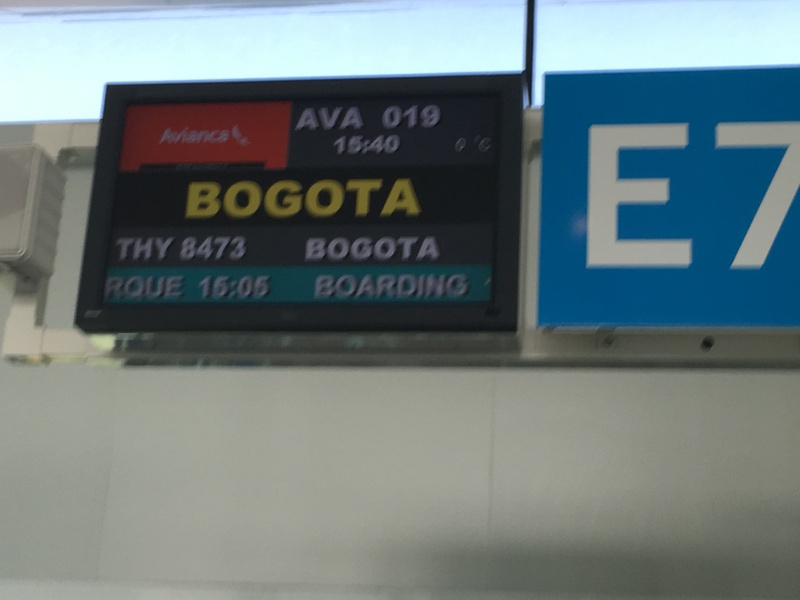 Boarding Staff: You won’t be able to fly without one, which means you will have to stay in Bogota. Baybars: You must be kidding! Could you let me speak to your supervisor, please? Supervisor: Sorry, but we can’t board you unless you have either a US visa or UK transit visa. Mind you, this is a very shortened version of the conversation. Chris and I stayed alone at the gate of the flight. The pilot and all the passengers were already on the plane and the pilot was constantly asking the staff to close the door. When I understood the intention—to leave without me—I raised my voice and started explaining why I was in Colombia and I even showed them a photo of me with ObamaJ etc. etc. etc. In the meantime, Chris was pushing them to let me board because I was a very important personJ In the process, my wife sent my US visa using Whatssapp, but they said they had to see the visa on the physical passport. Supervisor: Mr Chris, will you please get on the flight — Mr Altuntas is going to have to stay here. Chris: I’m not going to leave him here. Pilot: I am closing the doors. It was 15 minutes after the scheduled departure time and we were still trying to convince them I didn’t need a transit visa for London. Supervisor: Just a second. I am going to make a call to Avianca headquarters. Supervisor: Mr Altuntas, you can board now! All the way to London Chris and I tried to figure out what had made them decide to take us onto the flight. We couldn’t find a plausible reason for them to change their mind. There was still a question in my mind: Maybe they didn’t want to delay the flight any further. Maybe they figured I would be sent back from London to Bogota because I didn’t have the right transit visa. The USA does not have a transit visa system. Even you are spending one minute on US soil, you need a USA visa. Because Chris did not know this, he had to spend the night at the Miami airport, pay a 600 USD penalty, and catch another flight to Bogota. We got off the flight in London and here we were greeted with an exceptional passport control. The UK border police were checking passports as passengers stepped off the plane. Anyone who has visited a Schengen country in the last 30 days and has a valid Schengen visa does not need a transit visa for the UK. Bear in mind that I had flown to Bogota via Spain the previous week, and this was clear from my passport. If Chris and I hadn’t made so much noise and raised such a fuss at the Bogota airport, the staff wouldn’t have checked the regulations and I would still be stuck at the Bogota airport! See you next year in South Africa for GEC!